A roguelike game inspired by classic 16-bit RPGs. In Tangledeep, you play as a woman exploring a dangerous underground labyrinth in order to find a way to the surface. Tangledeep for PC is roguelike game inspired by classic 16-bit RPGs. It was devloped by indie studio Impact Gameworks. Tangledeep is set in a fantasy underground land, whose inhabitants have forgotten what the life on the surface was like due to hundreds of years spend underneath. 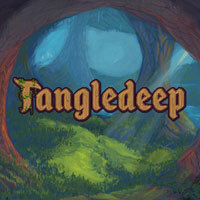 The only way to get out goes through the eponymous Tangledeep, a constantly changing labyrinth. You play as a woman, who embarks on a dangerous journey to discover the world above. Tangledeep for PC utilizes an isometric view and the gameplay is turn-based. You traverse the eponymous labyrinth, facing the dangers lurking there—the protagonist encounters various enemies and to defeat them, she needs the right equipment and powerful abilities. There are over 100 abilities she can learn, and they differ depending on which one of the twelve character classes you choose. Interestingly, almost every foe can be tamed and adopted as a companion or kept in a special corral together with other creatures. Since the labyrinth is procedurally generated, each playthrough features different challenges, affecting the replayability of the game. Tangledeep also features a permadeath system—although it is softened a little by the fact that you can keep your equipment in a special bank. The production features three gameplay modes, including the adventure mode, in which you can be reborn after dying and continue playing. The 2D visuals of Tangledeep for play were done in a pixel-art style. The game features a pleasant sountrack, featuring music by the composers for such productions as Sid Meier's Civilization: Beyond Earth, Metal Gear Solid 3: Snake Eater, and Bayonetta.